The Best Barbecue blogs from thousands of top Barbecue blogs in our index using search and social metrics. Data will be refreshed once a week. Also check out Top BBQ Youtube Channels list for Top videos on BBQ. 2.46 The BBQ Central Show | Get In The Smoke! Barbecue newsletter is a comprehensive summary of the day's most important blog posts and news articles from the best Barbecue websites on the web, and delivered to your email inbox each morning. To subscribe, simply provide us with your email address. Chicago About Blog Launched in 2005, AmazingRibs.com started off as a hobby and labor of love. While it's no longer a hobby, it has grown and morphed from a one-man amateur operation into a professional website that speak with authority about barbecue, smoking and outdoor cooking. All about the science and art of barbecue, grilling, and outdoor cooking, with more than 1000 pages of free tested recipes, tips on technique, original science research, mythbusting, and unbiased equipment reviews. Facebook fans 127,306. Twitter followers 16,343. About Blog Grill master Steven Raichlen's BBQ blog offers the best grilling tips and recipes to try out at your next cookout. Keep coming back to learn new techniques. Facebook fans 76,594. Twitter followers 14,309. Facebook fans 213,903. Twitter followers 112. About Blog Discuss any and everything BBQ. Have questions? Ask fellow pitmasters! Facebook fans 1,095,148. Twitter followers 477,583. About Blog Breaking news, updates and tips about Barbecue from Google News. Facebook fans n/a. Twitter followers 213,013. Texas About Blog Brought to you by Texas Monthly magazine, TMBBQ is a multiplatform community of people all over the world who love barbecue. TMBBQ not only helps you find great joints, it serves up news, interviews, and feature stories about barbecue; brings you high-quality barbecue events; and gives you a forum to talk about your favoriteâand least favoriteâspots and hear what others have to say too. Facebook fans n/a. Twitter followers 15,035. East TN About Blog A blog about BBQ, grilling recipes, smoking, kamado grills, Big Green Egg, BBQ competitions, food festivals, brand ambassador trips, and Eggfests. Facebook fans 4,330. Twitter followers 3,669. Facebook fans 5,126. Twitter followers 258. Las Vegas, NV About Blog Learn how to grill, barbecue and smoke meat, seafood, vegetables, breads and desserts with grilling tips and recipes from Girls Can Grill. Facebook fans 4,391. Twitter followers 1,268. Girl Carnivore Meat Laboratory About Blog A food blog for meat lovers with a variety of top-quality savory, quick and easy, healthy, bbq recipes and grill reviews for the true carnivore. Facebook fans 14,160. Twitter followers 657. San Francisco, CA About Blog Reddit feed for Barbecue. Facebook fans 1,094,527. Twitter followers 477,154. Milwaukee - Franklin, WI About Blog WeekendGrilling is an online community where the average Joe can share recipes, tips, tricks, pictures and techniques about anything grilled or smoked! Facebook fans 6,996. Twitter followers 2,748. About Blog King of the Coals is a website dedicated to bringing you the best content in everything to do with outdoor cooking. Currently based in the UK, we get outside and cook on our wood fired pizza oven, smoker, grill or even an open fire whenever the weather allows us! Austin, TX About Blog Get in-depth coverage of news, reviews and conversations about Texas barbecue. It's basically Christmas every day for barbecue-lovers. Facebook fans 261,360. Twitter followers 181,015. OH, KY, IN, NC, GA, IL About Blog At City Barbeque, we are 100% devoted to the craft of barbeque. We refuse to cut corners or take any shortcuts. All of our meats are smoked on-site at each restaurant, hand rubbed with spices, and take upwards of 18 hours to become pure barbeque perfection. Facebook fans 64,074. Twitter followers 6,783. About Blog The most versatile wood fire pellet grills on the planet, a Memphis Wood Fire grill is the ideal choice for anyone looking for unparalleled flavor.Updated weekly, the Memphis Grill blog is the go-to source with a variety of grilling recipes and how-to instructions to help you grill the perfect meal. Facebook fans 14,765. Twitter followers 4,178. Dallas, TX About Blog The Texas BBQ Posse is a group of writers, photographers & BBQ hardcores. We love to travel and discover new places to eat the best in Texas barbecue. Let the meat speak for itself! Facebook fans 17,334. Twitter followers 7,301. About Blog Read the latest headlines, news stories, and opinion about barbeque from Huffington Post. Facebook fans 9,936,561. Twitter followers n/a. United States About Blog Furious Grill is a trusted source where people can come and find delicious grill, bbq recipes, tips, tricks and product reviews. Facebook fans 40. Twitter followers 19. United States About Blog If you're scouting for the best wood pellet smoker-grills or ceramic grills on the market, welcome to Grilla Grills! Our family of grills produce mouth watering flavor and fall off the bone tenderness that will make your patio the talk of the jungle. Facebook fans 20,563. Twitter followers 11,883. United States About Blog Grills Forever is the best place to find top rated smoker grills. Compare Gas, Charcoal, Electric & Pellet barbecue grill for sale and get the best for you. Facebook fans 401. Twitter followers 2,256. Nahunta, GA. About Blog Lang BBQ Smokers are the #1 BBQ stick burner smoker cookers. Durable wood burning smoker cookers and charcoal grills for patio, competition and restaurant use. Check out Lang BBQ Smokers for a revolutionary way to grill ,smoke and barbecue foods to perfection every time. Facebook fans 12,517. Twitter followers 3,749. About Blog Read about new products from Meadow Creek, watch us smoke and grill, and learn barbeque tips from the experts. Our mission is to provide high quality smokers and grills that make amazing barbecue fun and easy—whether you are a backyard enthusiast, food service professional, fund-raiser, or competitor. Facebook fans 1,212. Twitter followers n/a. Conroe, TX About Blog Lone star grillz is a family owned business.We manufacture high quality grills,firepits,smokers, and trailer pits.All our products are made in Texas by Texans and unlike our competitors, our products are built to last a lifetime. We believe that you should be able to afford quality custom BBQ pit smokers and grills. Facebook fans 12,819. Twitter followers 190. Denver, CO About Blog GQue BBQ is Westminster's BBQ catering expert, championship BBQ restaurant, and authority on Denver-area BBQ. Facebook fans 6,226. Twitter followers 1,584. Oakdale, Ca, USA About Blog Learn grilling, BBQ, and Dutch oven cooking the right way. Gary House from Cooking Outdoors teaches the best outdoor cooking techniques to get you started. Facebook fans 8,054. Twitter followers 10,870. Nashville, TN About Blog Whether you are camping or grilling in the backyard, my over the fire cooking articles and recipes will make you an open fire cooking expert. Facebook fans 6,747. Twitter followers 267. About Blog BBQlicate.de is a blog about the topic BBQ & Grillen, as you may already have recognized by the name. In the foreground is the fun of the grill, try new recipes, test accessories and much more. Deepest Darkest Devon About Blog British BBQ- Cooking outdoors whatever the weather. Inspiring recipes and techniques using the best British produce cooked on fire and smoke. Hot and cold smoking, wood fired ovens and BBQ of all forms. Facebook fans 2,927. Twitter followers 16,407. Facebook fans 1,725. Twitter followers 4,003. Orsa, Sweden About Blog Here you will find everything from tips on how to grill the best way to super delicious recipes. Facebook fans 600. Twitter followers 188. Albuquerque, New Mexico About Blog Burn Blog brings you delicious and fun Fiery Foods & BBQ Recipes, Stories, and News. Facebook fans 694. Twitter followers 1,358. Reading, England About Blog Passionate about BBQ's. Aiming to inspire everyone to BBQ all year round. What could be better than a simple way to cook that delivers great tasting food. About Blog BroBBQ is the brainchild of Jack Thompson, dedicated solely to all things BBQ. Our missions are: To create a one-stop site for BBQ, lessons about the art of BBQ: the perfect heat, smoking tips, delicious meat cuts, the best sauces; To spread the love of BBQ by transforming grilling amateurs to grilling gurus; To provide unbiased BBQ-related product reviews, to the latest trends, from those who treat BBQ as a hobby to rather big-ticket items for those who regard BBQ as a life-changing experience. Facebook fans 1,080. Twitter followers 12. Clinton, CT About Blog We engineer premium, American made products Electric Grills & Cooking Surfaces for Your Home and Boat to meet all of your needs. Facebook fans 22,870. Twitter followers 1,971. About Blog Paradise Grills Direct is proud to offer the worlds strongest built Outdoor Kitchens, Fireplaces, Fire Pits and Tiki Huts. Let us show you step-by-step why a Paradise Grilling Systems product offers the superior quality you have been looking for. Facebook fans 3,367. Twitter followers n/a. Baton Rouge, LA About Blog Come on inside and start learning how to Master the Grill! Tips, tricks and techniques for grilling designed to help you achieve Grilling Greatness! Facebook fans 7,687. Twitter followers 15,813. About Blog Sweden's barbecue elite and discuss anything related to grill and BBQ. All images and materials belonging BBQLovers. Facebook fans 8,266. Twitter followers n/a. About Blog Welcome to Wildwood Grilling Outlet's Blog! Here you will find informative posts on how to Grill with Grilling Planks and Grill Wraps, Find the Best Grilling Recipes of the year, and much more. Facebook fans 2,974. Twitter followers n/a. Union City, CA About Blog The Grill Life is a site dedicated to helping BBQ enthusiasts on everything grilling offering tried and true information, tips, accessories and recommendations. Facebook fans 203. Twitter followers 2,001. Olean, NY About Blog Manufacturers of Kosher certified smoker wood chunks and smoker wood chips from Forest Fresh hardwood. We offer the finest quality cooking wood chunks, cooking wood chips for backyard oven, fireplace and campfire cooking. Facebook fans 76. Twitter followers 526. Australia About Blog Welcome to Moonshine BBQ - a range of small batch, hand crafted BBQ rubs and spice mixes for all types of meat and fish. Facebook fans 1,008. Twitter followers 1,366. About Blog blog about a carnivore's journey into the world of low and slow BBQ - backyard grilling and smoking, restaurant and product reviews. Facebook fans 416. Twitter followers 1,269. Virginia, USA About Blog Welcome to Obsessive Compulsive Barbecue! My name is Joe Haynes. This site is a record of my BBQ cooking journey. Cooking delicious barbecue isn't a destination; it's a never ending quest to reach the ultimate goal of tender, mouthwatering barbecue perfection. Facebook fans 288. Twitter followers 3,134. 46. The BBQ Central Show | Get In The Smoke! Cleveland, OH About Blog The BBQ Central Radio Show is a weekly internet show that talks about all things important to the world of BBQ & Grilling. Facebook fans 1,955. Twitter followers 7,872. Denver, Colorado About Blog Looking for a popular blog for grilled food recipes? Rocky Mountain Cooking offers a wide variety of delicious food recipes. Facebook fans 9,636. Twitter followers 212. Austin, Texas About Blog The Smoking Ho provides adventures in BBQ and meaty dishes with detailed reviews of lots of different barbecue joints with great pictures. Perfect to find the next place to go when you can’t be bothered firing up the smoker. Facebook fans 1,123. Twitter followers 1,622. Charlotte | Austin | Atlanta About Blog Three bros originally from High Point, NC on a mission to experience barbecue in all forms at any joint we can find. We’ll eat it, we’ll rate it, and we’ll rank it all for the common good. Facebook fans 245. Twitter followers 560. Boston and M'boro About Blog 17th Street Barbecue serves Legendary BBQ in Murphysboro & Marion, IL. Facebook fans 13,746. Twitter followers 8,202. About Blog SMOKEGEARS.COM is totally filled with all sorts of reviews, informative and needed details including pros and cons of electronic smoker, offset smoker, wood smokers, pellet smokers and also smoker accessories from various brands. SMOKEGEARS.COM has some of the best perfect smoker reviews in the category. Facebook fans 32. Twitter followers 1,371. Chicago About Blog Man Meat BBQ is a Chicago based food blog that is designed to bring people together and celebrate food cooked over an open flame. This won't be like any other BBQ podcast. We will be talking to pit masters, as well as interviewing chefs, butchers, fitness trainers, and many others. Facebook fans 5,407. Twitter followers 862. About Blog I realised the posts about BBQ were more appreciated than the other things I posted. Realising this encouraged me to expand and improve my blog so I came up here telling who I am and what I’m doing here. Facebook fans 3,227. Twitter followers 1,113. Sunny Scotland! About Blog Cooking the books since 2013! A UK BBQ Blog, documenting recipe cooks from various cookbooks, reviews of BBQ's and Accessories plus handy hints and tips to help you improve your cooks and wow your guests! Facebook fans 367. Twitter followers 2,310. Facebook fans 926. Twitter followers 3,292. Belfast, Northern Ireland About Blog Towable barbeques for large and small events. Event catering for everything between large public sporting fixtures to small birthday parties. Facebook fans 751. Twitter followers 444. About Blog Rackz BBQ restaurant has the hot, fresh barbecue cuisine you are craving. Come check out our BBQ menu full of made-from-scratch recipes and delicious cuts of meat. Memphis, TN About Blog Discovering the Best Ribs and Barbecue at Real Pit BBQ Joints in the Memphis Tri-State Area-227 and counting! Lenexa/Blue Springs About Blog If you’ve not tasted Zarda baked beans, get ready for a treat. our Country Style Cole Slaw is like none other in town. Whether you’re craving our Ozark hickory-smoked meats or ribs, tempting sides like our Cheesy Corn or Wedge Cut Fries, one thing’s for certain, they’re all delicious, and choosing is half the fun. Facebook fans 8,439. Twitter followers 2,299. About Blog Welcome to Jake's Famous BBQ blog your bbq destination for easy to follow bbq recipes, tips, instructions, and insight into all things barbecue. Los Angeles, CA About Blog One focus of our site is updating people with the new technology and trends in grilling especially the apparatuses that can be used. We talk about the new types grill types of equipment – the different sizes, structures, and even the various heat sources that can be used. Australia About Blog Kamado Life will try to bring you a unique spin on the BBQ world with a focus on the Kamado style grill. It will be our take on the BBQ classics and plenty of fresh ideas. Stop by for a look around. Thanks in advance and I look forward to hearing from you. Facebook fans 142. Twitter followers 506. United Kingdom About Blog Cinders BBQs located in Lancaster, are one of the UK's leading producers of Catering Barbecues, with Outdoor Grills and Barbecue Accessories. Facebook fans 32. Twitter followers 817. United States About Blog Angara is the ultimate modern outdoor dining table. With buit-in gas bbq grills & cool LED lights, the table is perfect for all your outdoor entertaining. Facebook fans 388. Twitter followers 536. Australia Wide About Blog We offers classes to help develop your BBQ Cooking Skills. Our blog keeps you up to date with tips & tricks to continually improve on your techniques & recipes. Facebook fans 3,241. Twitter followers 427. Kansas City About Blog Three Little Pigs BBQ provides Kansas City Barbeque Sauces Rubs including all natural gluten free BBQ sauce and seasonings. Facebook fans 1,451. Twitter followers 4,013. Alexandria, VA About Blog Pork Barrel BBQ is a national award winning BBQ sauce company that believes we can add bipartisan flavor to your next barbecue. Blog post covers barbeque sauce and BBQ dry rubs for pork, chicken, beef, fish, and vegetables. Check out our barbecue and grilling recipes. Facebook fans 15,184. Twitter followers 43,216. About Blog Are you looking for barbecue and grilling recipes to serve up at your Pit, family picnic, or tailgating party? BBQ Pit Boys demonstrate the techniques of cooking Old-Time Barbecue and Grilling. They'll show you what BBQ tools you'll need, how to select the correct cuts of meat for the smoker or grill, and the tips and tricks on how to easily cook up some classic Pitmaster recipes. Facebook fans 1,698,961. Twitter followers n/a. About Blog Barbecue Recipes, reviews, Tips, Tricks and How To Videos. Thats what this youtube channel is all about. You will be entertained, you will get inspired and you will get a sudden urge to go out, grab your grill and cook up a storm. Facebook fans 124,800. Twitter followers 595. San Marcos, CA About Blog Welcome to San Diego BBQ. We Specialize in Outdoor Kitchens, Gas Grill Sales, BBQ Island Sales, Quality Replacement Parts and BBQ Cleaning & Grill Repair. Facebook fans 255. Twitter followers 151. Wichita, KS About Blog All Things Barbecue brings you helpful barbecue tips and tricks, recipes and product overviews. Facebook fans 90,447. Twitter followers 6,666. About Blog Do you love grilling, smoking & cooking outdoors? This channel is for you! We have countless grill recipes, how to videos, and barbecue reviews on the BBQGuys.com channel. Facebook fans 15,451. Twitter followers n/a. Sterling, Virginia About Blog Humidity, wind and ambient temperature each play a role in the performance of charcoal.Clean the grill after each use. Facebook fans 541. Twitter followers 744. San Diego, CA About Blog If you're looking for some great Outdoor Cooking Recipes, then you found the right channel! Ballistic BBQ is all about traditional "Low N Slow" barbecue and grilling. But you will also find recipes that are traditionally cooked indoors prepared on the grill with a Ballistic BBQ twist! Facebook fans 39,799. Twitter followers 2,149. About Blog If you want some great grilling ideas, then you've landed on the right channel. I will show you my take on great BBQ from slow-n-low to hot-n-fast grilling. Facebook fans 12,300. Twitter followers n/a. Newbury Park, CA About Blog At Filthy Grill we offer barbecue repair using quality grill parts, as well as barbecue restoration. BBQ maintenance is an important part of having great tasting foods. Facebook fans 124. Twitter followers 49. About Blog The OC Grill Cleaner is a local family owned small business located in beautiful Orange County, California. We offer professional BBQ Grill cleaning and parts for BBQ grills to our customers. Check out this site to know more about OC Grill Cleaner. Belleville, IL About Blog My name is Daryl Smith of "Bad Beast Barbecue". I have been grilling and smoking foods for several years. My father had me on the grill out in the yard helping him a at young age. Our channel will be showing techniques and recipes from down south, some passed to us from generations of family member. So subscribe and join our adventure as we barbecue, cook, drink and talk smack. Facebook fans 354. Twitter followers 94. Comox, BC About Blog Postal Barbecue channel is devoted to teaching you new BBQ recipes that we love and want you to experience. From BBQ Ribs, BBQ Chicken, BBQ Briskey, BBQ Ham, BBQ Hot Dogs and many others we are here to help you do BBQ better. Along with this give reviews on great products that we like to use and to top it off we actually produce our very own BBQ rubs for you to enjoy. Facebook fans 390. Twitter followers 672. About Blog This site is dedicated to show you the basics of BBQ and also allow you to take your BBQ skills to the next level. As an authority site we try to educate and get you information about BBQ that you might not get anywhere else. The New Forest About Blog Born in South Africa, matured in France, rendered to the UK; I spend my time trying to change the way we all think about barbecuing and outdoor cooking to show the wonderful world of wood, fire and smoke cooking. Facebook fans 787. Twitter followers 1,627. Burnley About Blog Bar-Be-Quick has a great range of barbecue products to meet all your culinary needs. Whether it's quick lighting charcoal, instant barbecues or something a bit more special, we've got it all covered! Facebook fans 3,258. Twitter followers 10,901. Houston, TX About Blog An objective source of information on great Texas barbecue, destinations, road trips, events and BBQ related subject matter. Facebook fans 551. Twitter followers 710. Killeen, TX About Blog Slow Smoked BBQ and fine custom desserts. The founder, Josh P has been in the kitchen his whole life. Being self taught at a very young age he was cooking more than likely before he could walk. Seriously cooking is something that he takes very serious. Facebook fans 2,764. Twitter followers 59. About Blog Come along on Don's "calories and cholesterol tour," and experience Texas barbecue at its finest. Don's not afraid to call it as he sees it, so count on an honest opinion of each joint he visits, from meat to side dishes. But Don's enthusiasm for Texas barbecue shines through with close-up photos and a handy list of favorites. Suomi About Blog A BBQ blog by Johannes. In my blog I try to share my experiences of BBQ near Arctic Circle through four seasons. I will share some of my favorite recipes, give insights to various BBQ equipment and accessories and share data on my grill and fuel performance. Data is something I would have benefit on early days but I could not find it anywhere. I hope this will help new hobbyists to get started. Facebook fans 93. Twitter followers 121. About Blog Competition BBQ Team and producer of amazing BBQ Spice Rubs and Artisan Salts. Facebook fans 1,229. Twitter followers 106. About Blog A lot of BBQ and Grilling and more by Joseph Hoetzl on tumblr. Tustin, CA About Blog The Best BBQ Rub and cooking seasonings for barbecue meats, seafood, and vegetables. Rockin' Rubs BBQ dry spice rubs are the best spices for grilling. Facebook fans 679. Twitter followers 36. About Blog Learn about barbecue, grilling, and outdoor cooking. 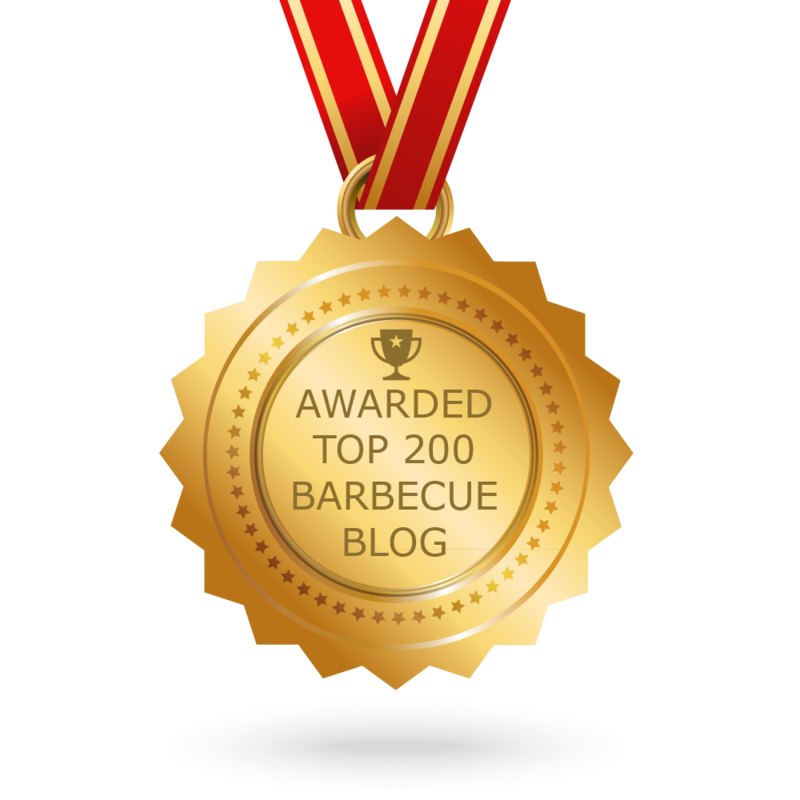 CONGRATULATIONS to every blogger that has made this Top Barbecue Blogs list! This is the most comprehensive list of best Barbecue blogs on the internet and I’m honoured to have you as part of this! I personally give you a high-five and want to thank you for your contribution to this world.